In light of the current election results and uncertainty among the communities that Saint Anthony Hospital serves, the hospital is further expanding its outreach for support services. 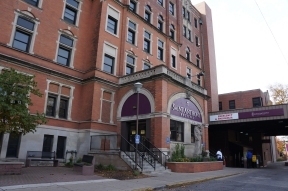 “No matter what happens with immigration and health care reform, Saint Anthony Hospital has and will be here to serve our communities,” said Guy A. Medaglia, Saint Anthony Hospital President and CEO. “We will never turn anyone away. As a community health care provider, we are here to serve everyone who comes through our doors.” As one of Chicago’s largest providers of undocumented immigrants, Saint Anthony Hospital is working with elected officials and community agencies to ensure fair immigration and health care reform for our patients. To assist our communities’ immediate needs, our Community Wellness team is able and ready to provide further outreach and counseling to anyone with concerns who may need additional support.